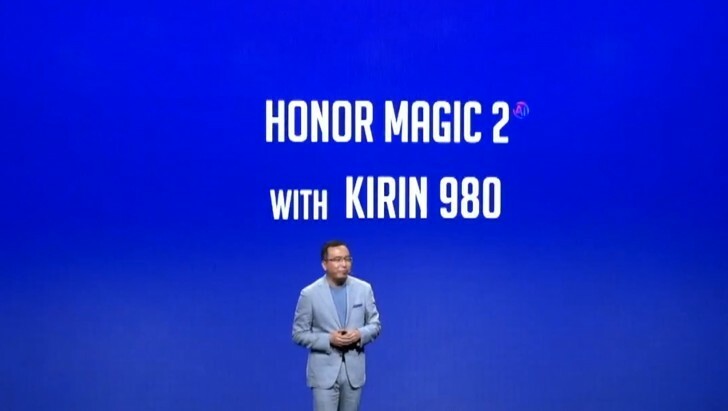 After announcing the Honor Play for the global market, the company's president surprised us all by teasing the successor to the original Honor Magic. The latter was released back in December 2016 and never got a follow-up until now, of course. The successor is called Magic 2 and the device didn't get a proper announcement - George Zhao just teased some of the key features. The most noticeable one is the so-called FullView display - no notches, no big ugly chins - just display. And as you may have figured out by yourselves, the device will have slide-out cameras as there's no room for one on the front. 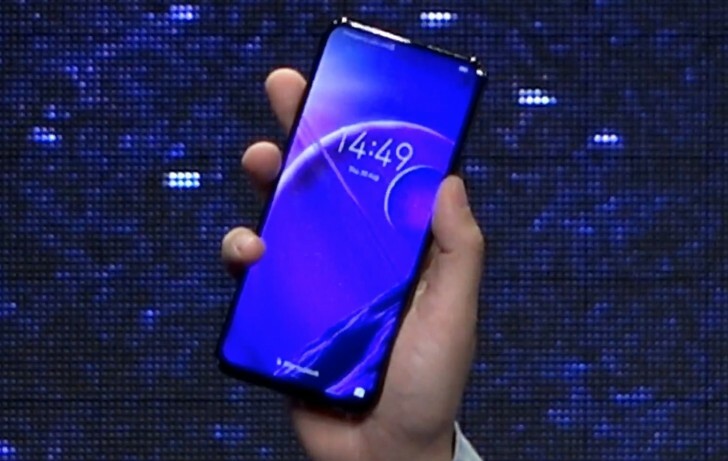 And yes, it looks a lot like Oppo's Find X. However, we don't know if the back cameras - assuming they are at least two - will be attached to the slider or will be placed on the back like most smartphones. But by looking at the size of the slider, it's probably safe to assume that all cameras will go in there. Another interesting thing we've noticed - George Zhao opened the slider with his hand - it didn't pop up like the Find X's automatically. It could be due to the early engineering sample or Honor has something in mind? In addition, the Magic 2 will come with upgraded Magic Charge supporting up to a whopping 40W charging speeds. The presenter also outlined that it's safe to use thanks to the 15-layer safety protection system and auto identification of three critical parts in the charging system. And last, but not least, the handset will come equipped with the still unannounced HiSilicon Kirin 980 chipset boasting great performance gains over its predecessor and enhanced AI capabilities making it "the smartest AI device there is." He was probably talking about the next-generation NPU that the Kirin 980 is rumored to have. 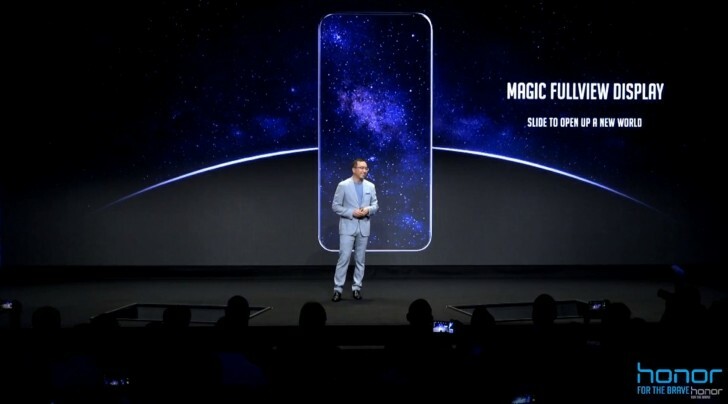 In any case, it didn't look like a complete device and the teaser video on stage implied that exactly two years have passed since the launch of the original Honor Magic, so we can expect December release maybe? It's definitely happening before the end of 2018, though.